Greases There are 6 products. Maxigras Complex EP is a complex grease for high temperature applications. Especially designed to reduce the relubrication frequencies up to 80% compared with conventional lithium greases. 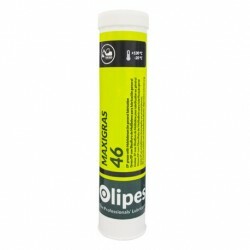 Maxigras C45 EP 00/000 is a fluid lubricant grease for applications where a product suitable for use in centralized lubrication systems is required. Formulated with high refined base oils and special lithium thickener.